Da Capo Lifelong Books, 9780738217161, 381pp. Best Food Writing is the place where readers and food writers meet to celebrate the most delicious prose of the year--serving up everything to whet your appetite from entertaining blogs to provocative journalism. 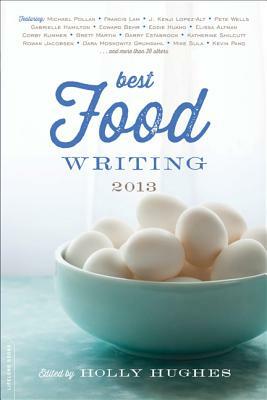 This year's edition includes food writing stars (Michael Pollan, Pete Wells, and Jonathan Gold) as well as intriguing new voices (Matt Goulding and Erin Byers Murray) and celebrated chef-writers (Gabrielle Hamilton and Eddie Huang) for yet another collection of "strong writing on fascinating topics that will appeal to foodies and essay lovers alike" (Kirkus Reviews).